(Front Row, L-R) Michelle, Sardius, Dennis Sr., Seianna Giden McCray. (Back Row, L-R) Dennis Jr., Lawrence, Marcus, Andrew. "I had to put my education on hold after I was married and started my family, but the great thing about IU South Bend is it is always there whenever you reach a point in life where you can go back to school," said alumnus Dennis Giden Sr., BS'90, MS'94. After earning his bachelor's degree in elementary education, the father of eight taught fourth and sixth graders at Swanson Primary Center for five years. Meanwhile, he earned his master''s degree in elementary education and a certificate in administration, and went on to serve as an assistant principal and principal in Elkhart Community Schools and later, as a principal in South Bend Community Schools. "As a result of my education at IU South Bend, I was able to work in a profession that provided the financial resources to raise a large family," Giden commented. "It also led me to a profession I loved." As a father, Giden set the same high expectations for his children as he set for himself. "They knew that it was expected that they finish high school," said Giden. "They saw what I did, and I encouraged them to follow my example and go to college, too." Giden shared memories of taking his son to class in Elkhart so he could spend more time with him, and sitting his children in a circle around his feet to practice lessons he learned in his education methods classes. "They were seeing their dad in a different light," explained Giden. "They saw me pursuing my college education." 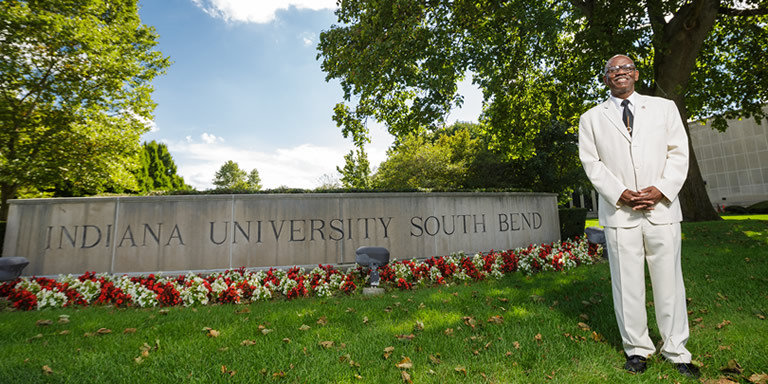 I was thirty-six when my dream came true, and I graduated from IU South Bend. 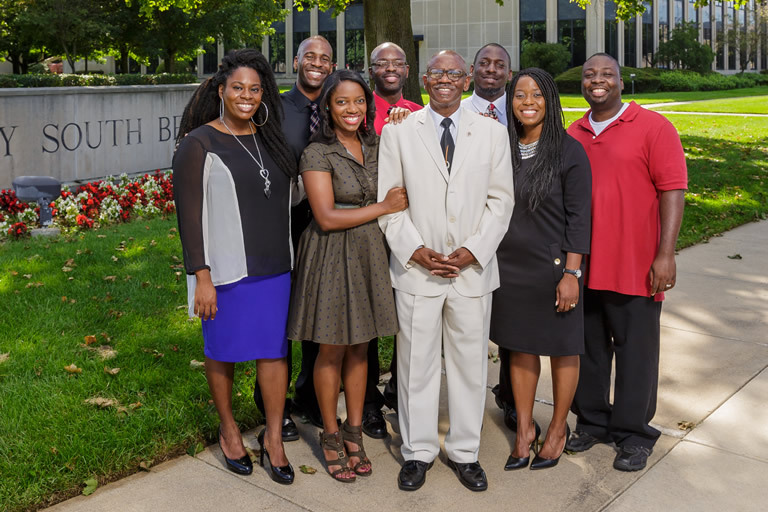 All eight Giden siblings attended IU South Bend-five earned their degrees, two attended classes on the campus, and one son passed away from a heart condition while he was a student at the School of Business and Economics. The girls, Seianna, Michelle, and Sardius, worked in the library throughout their undergraduate years. They recalled fond memories and friendships. "We spent so much time in the library studying and working that the library staff was like family to us," said Michelle, BGS'11. "My education at IU South Bend taught me leadership skills and how to think outside the box so that I could make effective contributions in every environment." Hersister Seianna, BS'10, also reminisced about the library's supportive environment. "My brother passed away, and my mom had cancer while I was in school," she said. "The library staff helped me get through those rough times, and I earned my elementary education degree." Sardius, BGS'15, the youngest of the eight siblings, remembers her dance classes. "I joined the IU South Bend Dance Company, and it made my college experience even more special," she said. "I met great people. I had been dancing since I was 12, but my dance teachers at IU South Bend taught me the technical skills of dancing." Sardius, who graduated with a general studies degree with concentrations in math and science, still remains active in the dance company. Lawrence, BA'10, a seminary student and mental health technician at Memorial Epworth, found his niche in the Civil Rights Heritage Center. 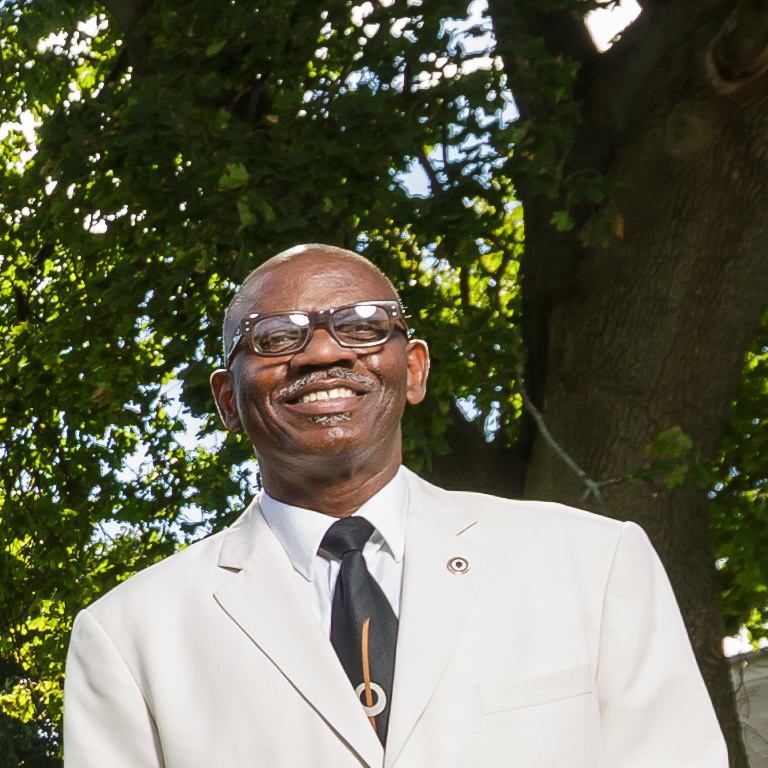 As a member of the Freedom Summer class of 2002, Lawrence founded "Church in the Movement," which brought South Bend churches together for a spiritual and educational program that explored how churches were an inspiration to their members. The program is still active today. "The Civil Rights Heritage Center kept me at IU South Bend at a difficult time right after my mother passed away," he said. "The professors associated with the center encouraged us to volunteer, but also excel in the classroom. The program was my inspiration." Michelle and Dennis Jr., BGS'01, are the musicians in the family, along with their father, who also enjoys performing in the family band. Dennis Jr. polished his vocal skills as a tenor in the South Bend Symphonic Choir, an ensemble-in-residence at the Ernestine M. Raclin School of the Arts at IU South Bend. "The Symphonic Choir is very dear to my heart," he commented. "Dad taught us the basics, but my vocal teacher really enhanced my skills." The general studies major chose a career path in social work. "Encouraging people and lifting their spirits through my music and my work is where my heart is." Dennis Jr. explained"
Two additional Giden siblings, Andrew and Marcus, also attended classes at IU South Bend. Marcus is employed at 1st Source Bank, and Andrew works at Mishawaka High School. The Giden family members who graduated from IU South Bend had different academic interests and talents, but they all praised their professors for helping them discover and nurture their individual talents. While Dennis Sr. was a student, he appreciated the small class sizes and attentive faculty. "It was so valuable to me," he said. "It allowed me the opportunity to interact in a meaningful way with students and faculty." He smiled and recalled how younger students would take him under their wing when he needed extra assistance, especially in math for elementary education. With a family to support, cost-effective tuition was important too. "It was also an affordable way for a working man with seven children to get a college education," he said. "My eighth child was born while I was a student." Giden is retired as a principal, but he continues to lead the church he pastors, and he assists Seianna with "A is for Apple Pie," her food-based interactive supplemental education program for grade school children. Seianna is also the compliance officer at DePaul Academy. "IU South Bend was a very supportive environment for me," she said. "My professors encouraged me to know the content and be creative. I still talk with many of them today." 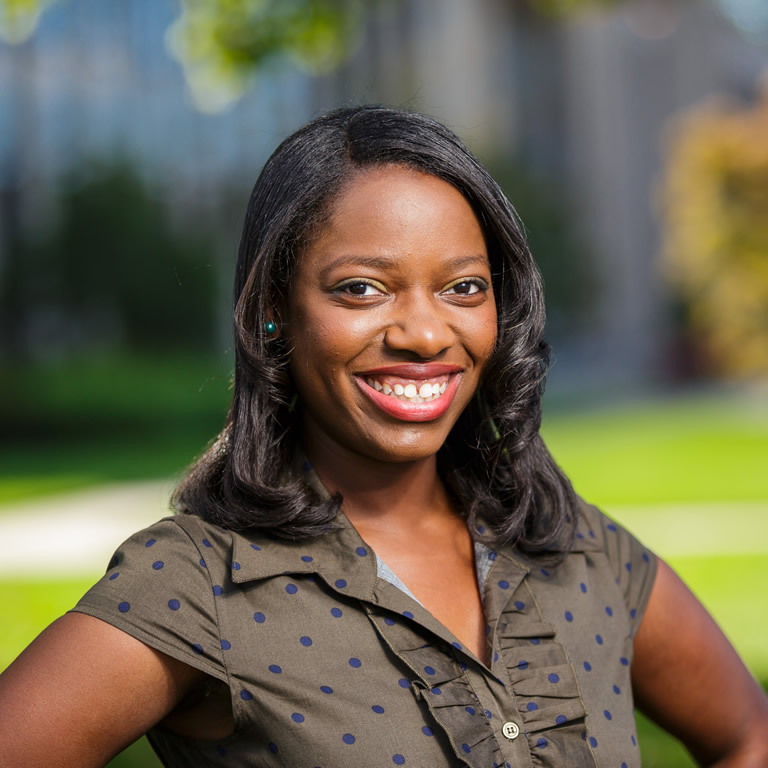 In 2016, Seianna was honored with the IU Schurz Library Outstanding Alumni of the Year Award, the St. Mary's College THRIVE Champion of Community Engagement Award, and she was named to the St. Joseph County Chamber of Commerce 2016 Michiana Forty under 40 list for her efforts to support early childhood education in the community. The father of eight is proud of his family's accomplishments and grateful for the people and programs at IU South Bend that fostered their academic and artistic achievements. "We are all placed here for a purpose," he explained. "IU South Bend was a place where my children and I were able to cultivate our talents, so we could make an impact."